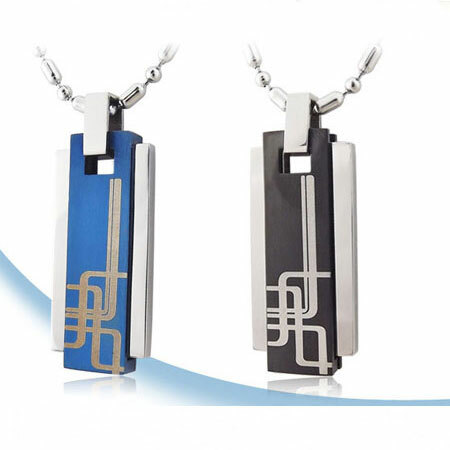 What a matching necklace set for couples! 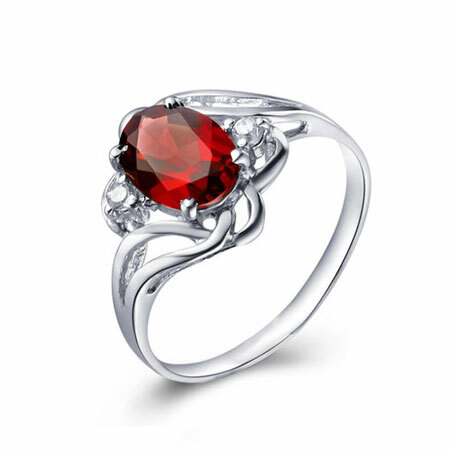 Small color ring is engraved with "keep me in your heart" on it. 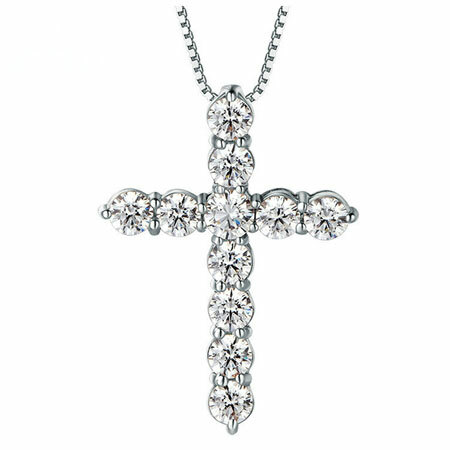 With love in your heart and you will try your best to protect it. 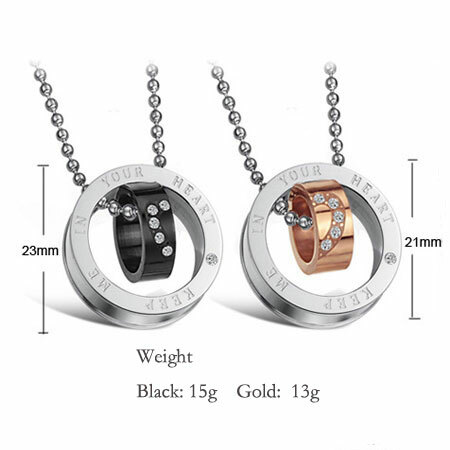 Be together with love is what these double ring matching couple necklace tells about. 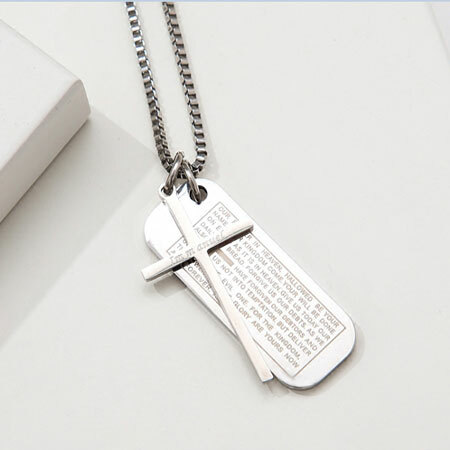 Made of high quality titanium stainless steel, stylish, allergy free, color never tarnish or fade away. 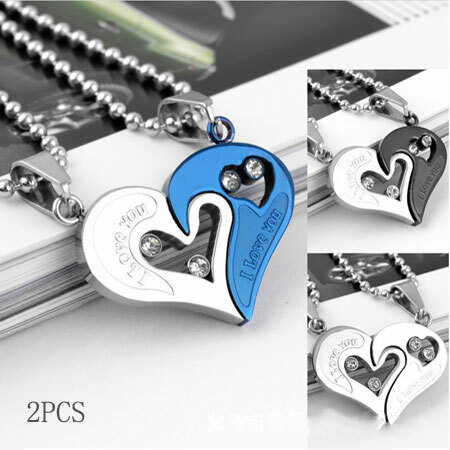 Men styles: Pendent size: 23 x 23 mm Chain Length: 20"
Women Styles: Pendent size: 21 x 21 mm Chain Length: 18"
Necklaces of rings and hearts have long been romantic gifts for valentines. 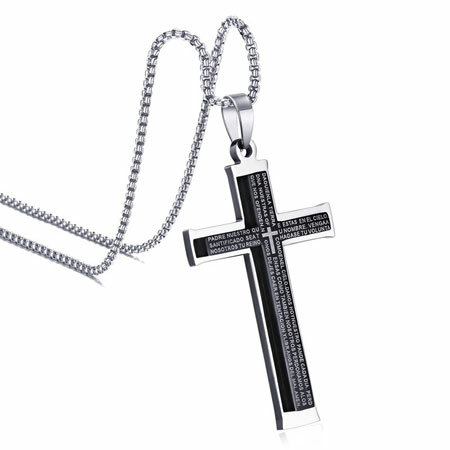 Maybe because necklaces are the closest to their hearts. 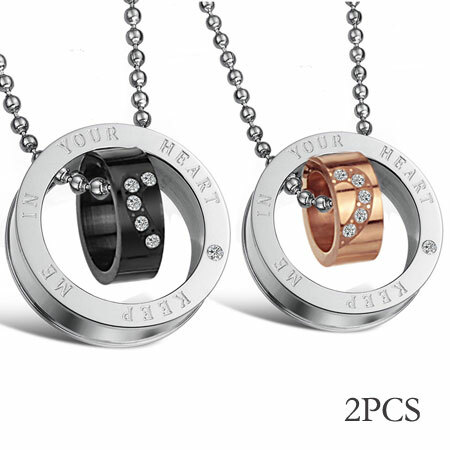 It is such a wonderful feeling to give these unique jewelry gifts and convey very sentiments and joys with that special person. 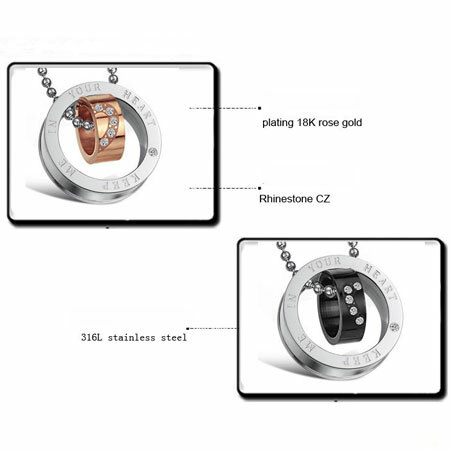 Excellent necklace for couples, good price, trustworthy store!